We have been established in the carpet cleaning business since 2004. Our Director is John Semel, a very ambitious and expert man, who so the need of cleaning and refreshing carpets in the current market and decided to set up the company. 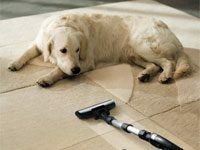 Fast KK Carpet Clean is a foremost Carpet Cleaners expert in all London areas. We work with fully insured carpet cleaners. Our cleaning rates are very competitive and very reasonable. For the best upholstery cleaning and tiles floor cleaning, we can help. Get in touch with us at 020 7649 9955 and our friendly customer service will serve you right.